In every marketing automation nurture campaign, one of the goals is to get people to indicate their interest. One way to do this is to have them download information, like a white paper, brochure, research document, and so on. At this moment, I don't have a specific document that we've created for you. However, SharpSpring, the marketing automation platform that I use, has written numerous pieces. 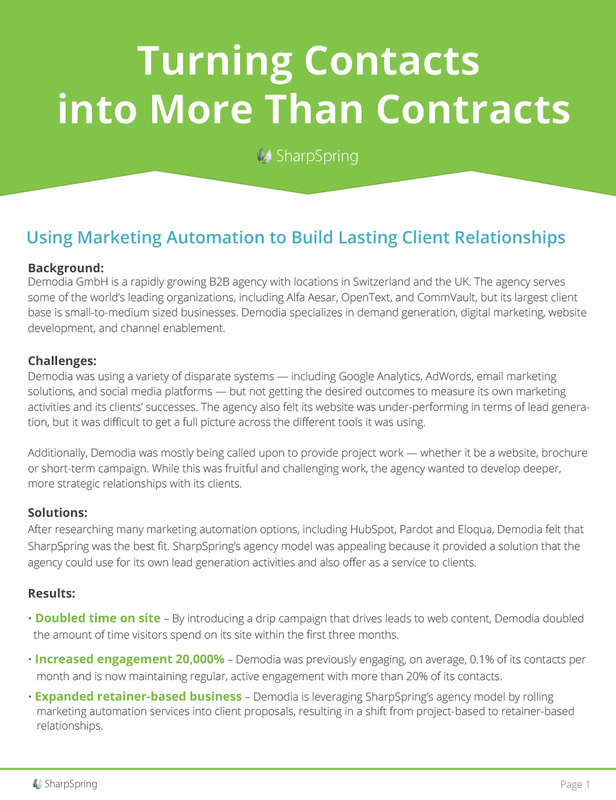 If you are interested in reading a case study how one company used marketing automation to create lasting client relationships. fill out the form below and submit it..